In 1900, Lord Kelvin famously stated, "There is nothing new to be discovered in physics now. All that remains is more and more precise measurement." Five years later, Albert Einstein published his paper on special relativity. Since Thomas Kuhn coined the phrase "paradigm shift" in his influential book The Structure of Scientific Revolutions (1), we have become used to hearing it a lot. Excited scientists and over-eager marketers love to use this phrase, often wrongfully and confused with simple innovation. But how can we know when we have a real paradigm shift on our hands? For me, it was the moment when I looked through a text book (2) I had written on exactly the same subject 15 years previously and realised that there was not one single chapter, not one paragraph, not one case story nor a single entry in the Frequently Asked Question section which could be "saved." The entire book had to be re-written from the ground up. That is an indication not of an innovation but of a paradigm shift. Kuhn remarks that a paradigm shift doesn't answer the questions from the old paradigm; instead, it makes them redundant. This is exactly what happened when we moved from Classic EFT to Energy EFT. Kuhn also noted that a paradigm shift doesn't just make things different; it makes them *better. * This too we have observed in action. Finally, a paradigm shift doesn't change the reality of information, but the way it is being processed. This is the final indication that we have indeed a paradigm shift on our hands - which is really exciting and should be good news to the many practitioners and users of EFT. After all, we want things to be new, and better - or do we? This has been the way of the world for a long time; but in the case of EFT Emotional Freedom Techniques (4), we have a special kind of paradigm shift which would, at least in theory, allow the opponents of the new paradigm to tap themselves with EFT and instead of having to die without ever changing their minds, experience the benefits of the new paradigm for themselves as well. So what is this paradigm shift and how does it work in the case of EFT? EFT is a technique whereby a person taps on certain energy points on the body whilst focusing their intention on an emotional problem they wish to resolve. This would not have been a problem, apart from the fact that not only does EFT work quite reliably to change people's emotions; it sometimes produces a great "scientific anomaly" that doesn't fit into the established psychology paradigm. Every so often and entirely unpredictably, a person being treated with EFT would experience the "One Minute Wonder" or "EFT Miracle" as it was known. Instead of a general, gradual release of negative emotions as could be explained by the theory of systematic desensitisation, clients would experience what can only be described as a lightning strike event of instantaneous healing, a "Eureka!" moment where the person would go from being in a state of great of emotional distress to literally jumping out of their therapy chairs, dancing around the room and cheering with delight. This highly unusual feature of EFT caused two opposite reactions. For those who had experienced this or witnessed it, it excited them greatly and motivated them to delve more deeply into EFT as well as recommending its use personally and professionally. For those who had not experienced this, cries of "Snake oil salesmen! Confidence tricksters! Quacks!" went up and EFT was declared to be clearly unscientific and impossible in its claims and "miracle cures." Still, too many people had experienced the reality of this EFT effect, this anomaly that doesn't fit into the idea of systematic desensitization, pattern interrupts or other existing psychological methods and ideas, to let it die a quiet death, as other scientific anomalies in the past used to do. Further, the onset of the Internet and the ability of individuals to talk to each other directly around the world allowed many more to come into contact with EFT and start experimenting with it themselves. In the past, an anomaly was soon buried by refusing to publish on it; now, EFT was out in the open and people were having their own experiences. Still, no-one could properly explain how and why it worked the way it did, nor why it sometimes didn't work, either. Einstein noted that “Our thinking has created problems which cannot be solved by that same level of thinking," (5) and so in 2002, after four years of intensive EFT research, I decided to design a different method to understand more about the relationship between the mysterious energy points on the body, focus of attention and the effects this had on the experience of human emotion. It was no longer enough to know that "something" was happening; now it was time to find out exactly what was happening, and why. I went back to basics and started with the question, "What are human emotions?" The psychology and physiology paradigms do not answer that question. Indeed, there seemed to be little interest in even investigating this at all. Dr Roger Callahan, the creator of EFT's precursor, Thought Field Therapy, a Californian Psychologist, stated that "negative emotions are a disruption in the body's energy field." This was not wrong; it was just too limited. I had been researching positive emotions and their impact on human behaviour since 2000, which resulted in the Guiding Stars paper in 2002 (6). This dealt with high positive emotional experiences which are the foundation for addictions, compulsions, fetishes, and a tremendous range of other destructive behaviours which were previously thought to be trauma based. I had also noted that what we call emotions are secondary language based labels which describe actual physical sensations in the physical body and are in essence, our 6th sense, that of felt sensations which have no physical origin. Negative emotions equated to painful sensations; but there were also the positive emotions which equate to pleasurable sensations and these had been previously absent and overlooked under the old trauma based paradigm. The acknowledgement of the existence of positive emotions, both as drivers for previously inexplicable human behaviour, as well as indicators to the functioning of the energy system, is at the heart of the paradigm shift which takes modern energy work away from the old ideas of psychology, physiology or even healing and into a different reality altogether. Here, energy may be invisible, but people can feel their (anger, sadness, depression, excitement, joy, love etc.) physically in their own bodies. They may even point to the place where these emotions are located, and these locations correspond to the actual locations of the injuries and reversals in the energy body. 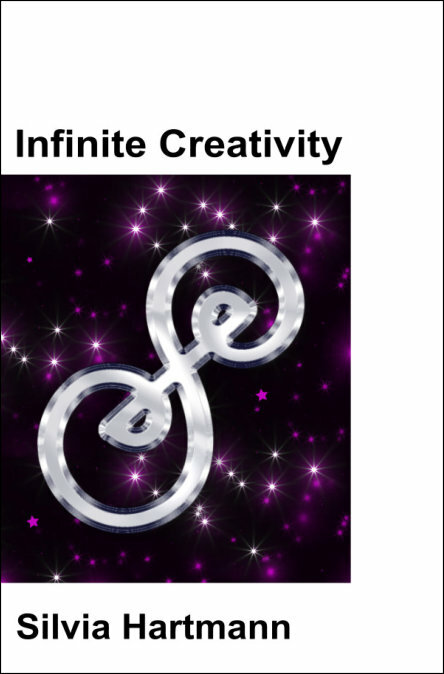 This unlocks the 6th sense, makes energy real, makes it provable and most of all, it makes energy personal. It also makes energy "hard hitting" rather than flighty, illusionary or esoteric. People really do die of a broken heart (of energy); people self mutilate their physical bodies with razor blades to relieve the pressure of unbearable emotions; people will end their own lives because they cannot stand the pain any longer; and of course, people all over the world are killing each other with rocks, sticks and guns not because that is practical or reasonable, but because of emotions. There is nothing "subtle" about emotions; there is nothing "subtle" about energy or energy work. Indeed, it doesn't get much more real or more important than to make that (paradigm) shift from a world without energy and emotion into a world where energy is the X Factor which we need to resolve all our most pressing human challenges and problems. EFT is an interesting example because it is a relatively simple technique where the essential action - tapping on meridian points whilst focusing the mind on a problem - exists the same on both sides of the paradigm shift. In the world without energy, EFT sits uncomfortably at the far edges of the field of psychology with all the many other human anomalies that can't be resolved with the existing theories and concepts. Many EFT practitioners are confused and uncertain as to what they are doing, and many are deeply "in the closet" as far as being energists is concerned, fearing ridicule and rejection from the established powers that be. To find a place for EFT and other methods that work with energy, it was/is being attempted to shoehorn it into the old paradigm as "energy psychology" which is a doomed endeavour as the established psychology community rallies around the basic fact that the very existence of "energy" remains scientifically unproven and therefore, unacceptable. Here, instead of being anomalous and entirely unpredictable, the EFT "miracles" become the Healing Events (8), and they become predictable because they have to happen when energy flow through the energy body has increased enough so that a threshold shift occurs. When this happens, the original problem will never return. EFT under the old paradigm was hindered by the conventions there; by the structural omission of energy and emotion. This is demonstrated perfectly by a scientific instrument, inherited from psychology, the SUD scale, Subjective Units of Disturbance (or Distress, or Discomfort) (9). This scale had a range from -10 to 0, to give a subjective indication how painful something might be to a client. When the distress or discomfort is no longer, the treatment is deemed to be complete. Under the new paradigm, where we do not just experience pain but also positive sensations relating to positive energy flow, a new scale was needed which did not stop at the Zero Point Of Nothing, but went the other way - into positive experiences, with the highest positive emotions at +10. This produces the SUE Scale, Subjective Units of Experience (10), and a completely different approach to the treatment flow in all modern energy work, including EFT. Simply by unlocking the fact that in energy work, "feeling nothing" is not the solution, but that instead, high positive energy flow is needed to overcome the problem, the entire game of EFT changes. The Healing Event is no longer an anomaly, nor is it in any way mysterious how to get there. All we have to do is to incrementally increase the energy flow with each consecutive round of EFT until we are in the high positives, +7 and upwards on the SUE scale, and the Healing Event will happen. It structurally can't not happen as it is simply a side effect of doing energy work right. This allows clients and practitioners (as well as self help EFTers) to plan a completely different treatment course from the start, and brings about simplicity and clarity in the EFT treatment flow, as well as making all sorts of problems that existed with EFT when it was used under the old paradigm simply disappear. For example, now we know how energy work has to work, it is clear to understand why clients experience sensations of sleepiness, haziness, disorientation and confusion around the Zero Point of Nothing. In the past, that was the place where clients were sent home in many cases, as it was deemed that "their problems had been tapped away" to Zero and that was all that was needed to be done. In fact, the treatment was entirely incomplete. Clients would firstly, experience a number of further "strange" symptoms such as the Apex effect, where a client would completely forget the treatment ever happened or how it affected the original problem; as well as that the problem would come back and didn't resolve fully, as no true Healing Event had been reached (yet). Another problem used to be that clients would dislike the idea of "tapping important emotions away," particularly in the case of bereavement pain, for example; they did not want to end up "feeling nothing." Instinctively and intuitively, those clients were right to feel that way. Feeling nothing is not an option for the energy system; to be healed or even functional, it needs to be in high positive flow. Now we talk about evolving emotions as we improve the functioning of the energy system one round of EFT at a time, rather than just tapping emotions away; and for many clients, this produces a huge sigh of relief. This relief of previous tension as EFT finds its rightful place on the other side of the paradigm shift as a primary energy modality goes all the way through every step of the treatment process and we could say this is an indicator that likewise, we have successfully evolved from an older paradigm into a newer, more reality based experience. Better as in, faster. More predictable. More reliable. More elegant. More structurally sound, more logical and explicable. More delightful and enjoyable in every way. Here is a word that is not often heard in the fields of psychology and medicine as they stand - fun. Fun or enjoyment is one of those emotions on the positive side of the SUE scale, and it is not found in a world where the best we can get is a cessation of suffering and feeling nothing at all any longer. Yet, when EFT is approached and conducted with energy in mind, in its rightful place on the other side of the paradigm shift, it becomes exactly that - fun. Hugely enjoyable. Enlivening, Exciting. Exhilarating. Joyous. The fact that we can start out with severely disturbed negative emotions and within a session or two end up with happiness, fun and laughter in and of itself is entirely inconceivable under the old paradigm. So this is what a real paradigm shift is like. The anomalies have been explained; the problems of the old have become irrelevant; the tensions have been released; and we have a whole new landscape before us, filled to the brim with new opportunities of research, discovery and learning that were never available before. Modern energy work is a different paradigm to the energy work of old. It is much more hard hitting, more direct, more effective in every way imaginable. As such, it presents existing practitioners with the classic paradigm threshold challenge - can that leap into the new be taken or will they be amongst those who don't make the transition and die out in the end, still clinging on to the old? Energy work which is all about emotion is more personal than physics, and I have high hopes that people will understand that the benefits of seeking and experiencing positive energy experiences, positive emotions, indeed better emotions than they have ever experienced before, will eventually outweigh the temporary pain of the paradigm shift threshold challenge. Modern energy work demonstrates to us practically and on a very personal level that human beings were not made to suffer, nor were they meant to live in peace as the best a (hu)man can get. Instead, our systems are designed to live lives filled with high positive emotions - +7 and above, the Even Flow or rightful functioning of the energy system which produces amazingly enlivening, empowering and enlightening emotions of joy, love and delight. Anything less than that and we are not living our potential, our birthright as human beings amidst the very real oceans of energy of which we are a part. 3: Quoted in Thomas Kuhn, The Structure of Scientific Revolutions (1970 ed. ): p. 150. 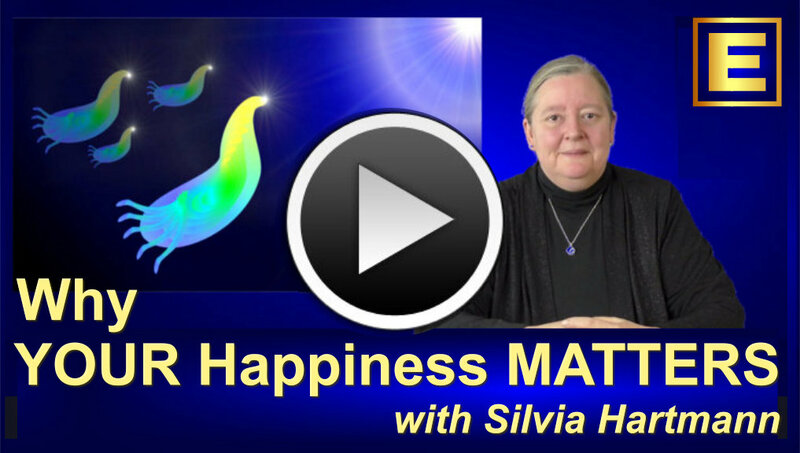 6: Silvia Hartmann, Guiding Stars Paper (2002), Advanced Patterns of EFT (2003). 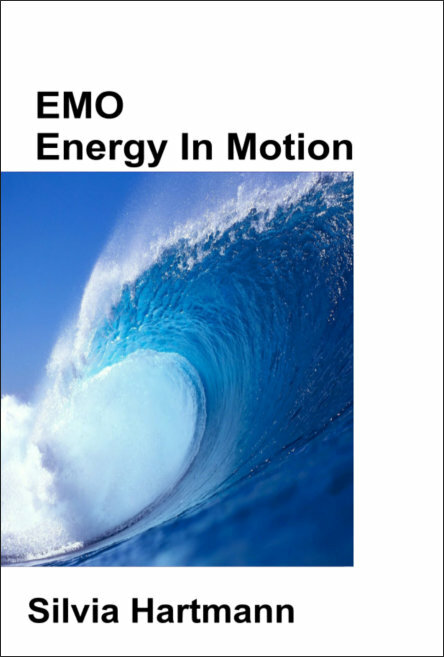 7: Silvia Hartmann, EMO: Emotions, Energy, Information & Love (2011 ed): p. 7. 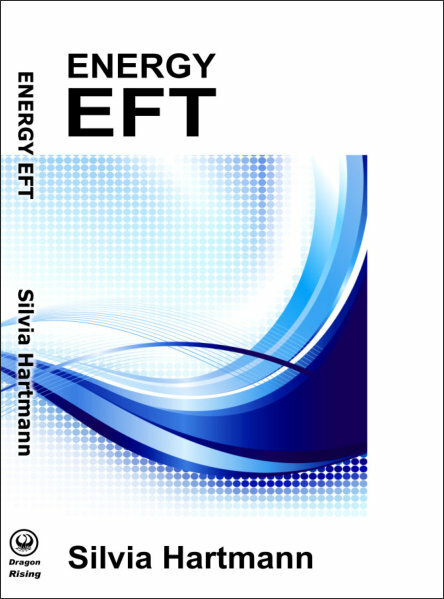 8: Silvia Hartmann, Energy EFT (2011): p. 33, 246, 256. 9: Joseph Wolpe, The Practice of Behavioral Therapy, (1969). 10: Silvia Hartmann, Events Psychology (2009).